How do I know what's available? Do I have to email? It's 2 am, can I call now? No need to do that, just click on whatever it is you want and the web site will tell you if it's available. You can do it from your Desktop, Tablet or Smart Phone. It's really that simple! You could Order By Date w/Real-time Availability(what you see after selecting date is what's actually available) or browse the web site except you will have to check availability for each item. How do I know you will show up? Fancy web sites don't impress me. Our Yelp! web page goes back almost 10 years. Does that work? I have sooo many questions, can you call me? Of course we can! Fill out this Contact Form and we will be more than happy to call you. You could also just call us at 650-630-5867. Why such a small coverage? Because we only have four vehicles and one back up vehicle. George is the back up vehicle sitting at the warehouse in case he needs to run anywhere. We aren't going to risk being late to anybody's party by putting too many deliveries in a vehicle. Each vehicle won't have more than six deliveries loaded and this is the MAX. We aren't taking chances. Sure! If they have electricity the cost is $30 to set up at a park. If they don't have electricity than you will need a generator. They are $75 and have two outlets, one for a blower. If your inflatable has two outlets than we take the generator that can handle two blowers at no extra charge of course. If you have more than one inflatable and it's more than 50 feet away from generator than you may need another generator. SOMETIMES they may ask for a Certificate of Insurance, the cost for this is $30 and takes 2-3 business days to process. We are actually already pre-registered with a lot of parks so you will not need a Certificate of Insurance. If all they want is proof than that's free and takes 2 minutes. The park determines if you need one or not. Do you have insurance? I think we need it for our event. We sure do! We've been insured for the last 13 years. If you need proof of insurance it's free and takes a few minutes. We just go online and send you the proof. Your venue or park can verify status by calling the Insurance company directly. Some locations will ask you for a Certificate Of Insurance. There is a $30 administration fee to cover this and takes 2-3 days. Additionally insured adds no additional fee. Very rare a venue or park will ask for an Endorsement and the fee for this is $120. Last minute jumper, can you do it? PLEASE!! As long as there is absolutely NO risk of any kind to us being late to folks that booked in advance than we will try our best. Your party would have to be two hours from our last delivery for us to even consider taking. Not fair for any kid to have to wait for us and we absolutely are not taking any chances. No, we don't. We can't. Because when they are late, no show, show up with dirty or old equipment you will remember who gave you that number and it won't be us. There is two companies that do other stuff that we will recommend and it's because they are legit, high quality event companies who have been in business for ever. They staff 100 plus employees and have 20 vehicles to deliver so we're pretty confident they won't no show. Payment Options: Pay Balance With Credit Card , Pay Balance With PayPal or Pay Balance in Check or Cash. When paying Cash we ask for exact change as our drivers do not carry change. 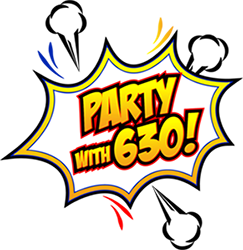 Make Checks to Party With 630. How much time do I get to keep the party equipment for? The total time we provide for equipment is 6 hours. That does NOT include the hours we show up in advance to set up. You will get your full six hours. Something got damaged while I had it, will I have to pay for it? For that same reason we offer an optional damage waiver. So you don't have to worry about paying for damages. But keep it mind it does not cover intentional damage, horseplay/rough housing, theft or anything that's out of normal every day wear and tear. I paid deposit already and I want to move my event to a much later date, can I do that? Sure you can! Deposits are held for 13 months automatically in our system if you call to cancel. If the same items are available on the new date you choose than switching is quick and easy. I called and nobody answered! What do I do now? Sorry about that! We may be on the phone with someone, doing a site inspection and/or at an event. Call us again in ten minutes at 650-630-5867 You could also fill out this Contact Form and we will be more than happy to call you.